The deadline for the three-year transition to the next-gen telecommunications contract EIS (Enterprise Information Services) is currently May of 2020, however both analysts and officers believe that an extension is likely. The $50 billion, 15-year contract is taking the place of older telecommunications contracts including Networx, Washington Inter-agency Telecommunications System 3, and Local Telecommunications Services. GSA did the right thing by assisting federal agencies with transition plans before the EIS award and offering task order templates to try and avoid the long and expensive six-year transition process to the previous Networx telecommunications contract, but it apparently hasn’t been enough. Contractors expecting EIS task orders from agencies to start releasing last fall have only seen a moderate amount thus far. In terms of the Authorization to Operate (ATO) that each contractor requires from the GSA to participate on the EIS contract, as of Nov 7th, three of the nine contractors were past 70% complete for the Business Support Systems (BSS) Security Assessment and Authorization. This includes AT&T, CTL (Level 3), and Verizon. The other six contractors are between 28% and 46%. This report is available here. Procuring the ATO requires extensive resources and often millions of dollars to complete, so it is not surprising that the largest contractors are in the lead. Once GSA grants these authorizations, agencies will then be able to officially sign contracts with preferred EIS providers, which would then be able to begin operation of their systems. 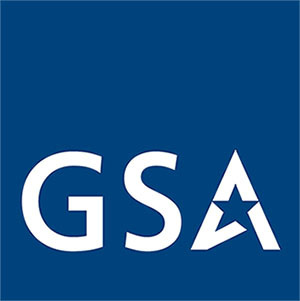 UPDATE 12-13-18 The GSA is offering extensions to 2023 for agencies that qualify for extensions. To qualify for this extension, the agency must incorporate 4 different provisions for technology modernization. These improvements include enhancing overall network cyber-security, getting away from time-division multiplexing tech, terminating legacy services and adopting VoIP/unified communications, and leveraging cloud and managed services. GSA is pushing for agencies to release their EIS solicitations by March 31, 2019. It’s expected that agencies should be substantially complete in moving to EIS by 2022. The recently released December report for ATO completion status shows that AT&T, CenturyLink and Verizon are nearing 90% completion. The remaining six vendors remain below 50% completion. To learn more about the EIS contract, visit this page if you are an EZGovOpps subscriber, or sign up for a free trial.